Aditya Birla Nuvo has elevated Mayank Bathwal, Deputy CEO of Birla Sun Life Insurance, to head their health insurance joint venture company. In his previous role at Birla Sun Life Insurance, Mayank Bathwal oversaw various departments, including finance, planning, IT, operations, strategy, group business and investment functions. 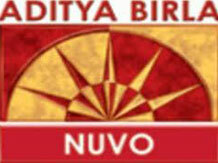 When contacted, a spokesperson from Aditya Birla Nuvo confirmed the development. In June, Aditya Birla Nuvo announced that it has entered into a definitive joint venture agreement with South African financial services group MMI Holdings Ltd to set up a health insurance and wellness firm in India. As per the agreement, Aditya Birla Nuvo will hold a 51 per cent stake in the health insurance joint venture, which will be named Aditya Birla Health Insurance Co. Ltd. He joined the Aditya Birla Group in early 1994 and has worked in setting up the life insurance venture and in various units and projects of the group, including fertiliser and copper smelting units and power projects. Aditya Birla Nuvo is currently in the process of acquiring the R1 licence from the Insurance Regulatory and Development Authority of India. There are three stages of approval required for getting a licence for an insurance company. R1 is the preliminary approval given by the insurance regulator. Following the regulatory approval, Aditya Birla Health Insurance will be the sixth standalone health insurance firm in the country. At present, there are five firms selling only health insurance products.